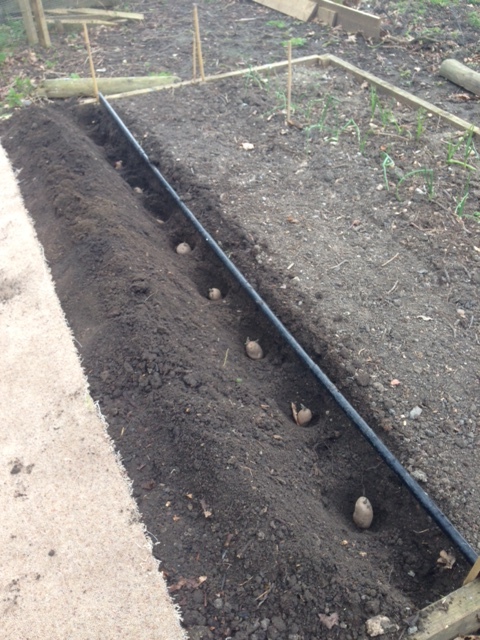 I planted three rows of potatoes in the veggie patch this weekend. They had been in egg boxes in the dining room since the end of January producing small sprouts. Desiree and Jersey Royals. Whilst I was working on the veggie patch I noticed quite a few frogs splashing in the pond. 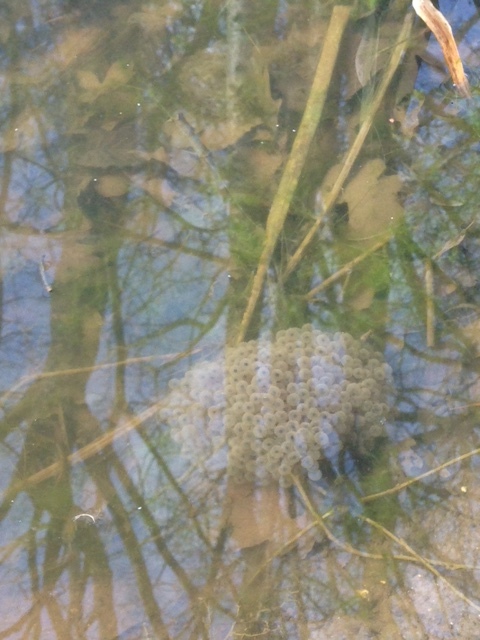 On closer inspection I can see the first few clumps of frogspawn has been laid. 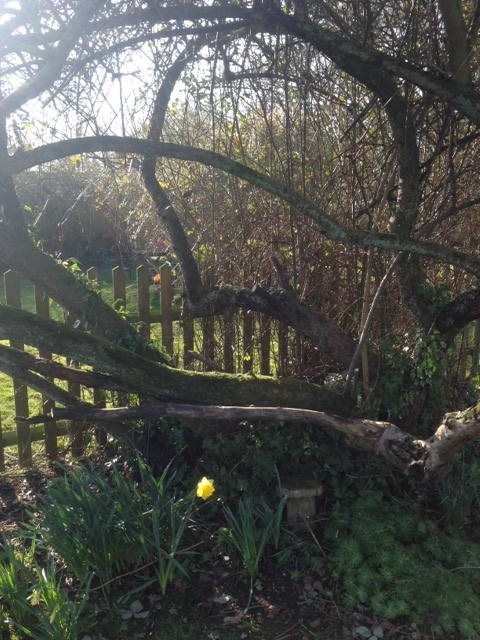 I did some pruning around the large apple tree. 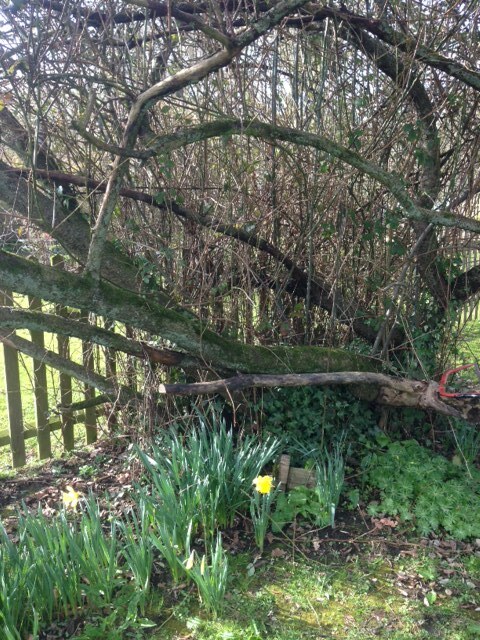 Clearing some of the brambles that climb all over the tree and hang down to the ground making mowing the lawn a pain.